Do humans control their destiny, or are they merely victims of the circumstances that surround them? A new collection of short stories from prize winning SF author J Alan Erwine examines whether we have freedom of choice, or are we merely puppets on strings subject to the whims of the universe. 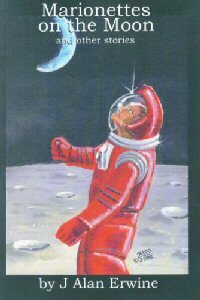 Marionettes on the Moon features 13 short stories, including the never before published title novelette.